The long-term interest rate is a central variable in the macroeconomy. It matters to borrowers looking to start a business or purchase a home; to lenders weighing the risks and rewards of extending credit; to savers preparing for college or retirement; and to policymakers gauging the state of the economy and financing government expenditure. The global financial crisis and the aggressive policy response pushed long-term interest rates in the United States and in many advanced economies to historically low levels. But today’s low-rate environment is not just a cyclical story. Interest rates had been falling worldwide for nearly twenty years before the crisis. Despite the magnitude and persistence of the secular downtrend, the explanation for the decline is one of the most vexing questions faced by macroeconomists today. The future path of interest rates is even less clear. 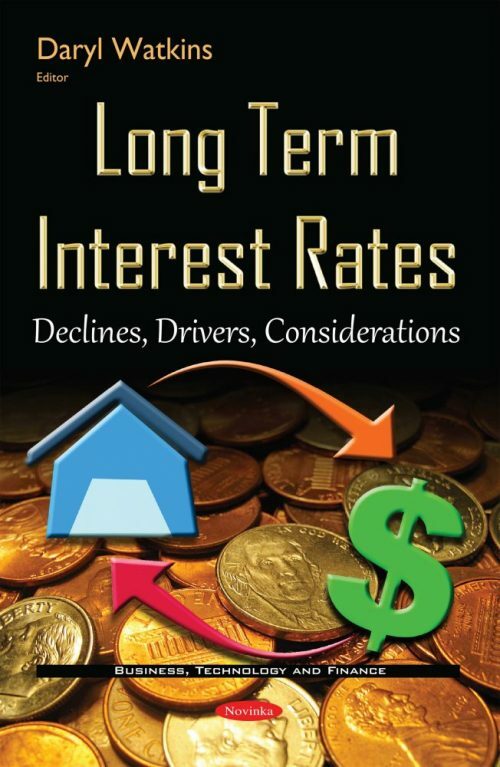 This book surveys the recent thinking on the many drivers of long-term interest rates in recent decades and going forward. In addition, this book provides a speech by Federal Reserve Board Governor Bernanke at the Sandridge Lecture which discusses the global saving glut and the U.S. current deficit.